A recent Gallup poll concluded that stay-at-home moms were significantly less likely than working moms to consider their lives �thriving� and experienced higher rates of depression. Even so, millions of mothers are choosing to put their careers on hold and stay home with their children. 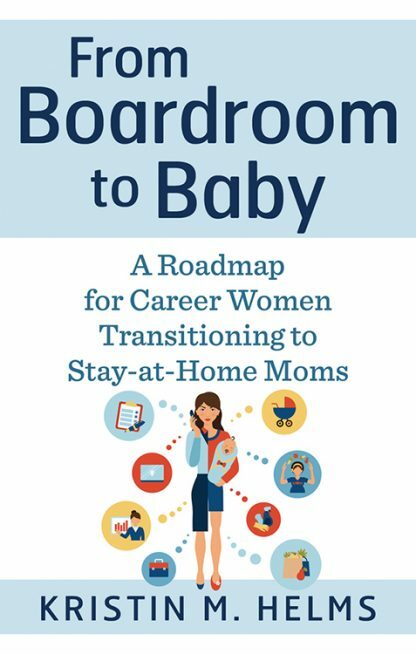 From Boardroom to Baby�shatters the stereotypes associated with �staying home� and empowers new moms to blaze their own unique paths through motherhood and beyond. Heartfelt stories of the author�s own journey from a Fortune 500 company to life on the home front. Kristin M. Helms is the founder and editor-in-chief of Tribe Magazine, an online publication that reaches moms from all over the world and explores the heart and soul of motherhood. She has been published on parenting sites including Literary Mama, Big City Moms,�Pregnant Chicken, and HuffPost. When her daughter was born in 2013, Helms traded her power suits and office with a view for yoga pants and life on the home front. She lives in San Diego, California, with her husband and two spirited toddlers.